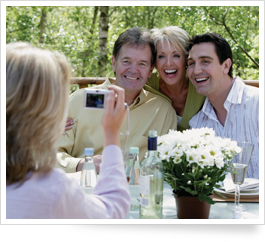 A harmonious new lifestyle awaits you when you become a holiday lodge owner. Buying a lodge gives you the freedom to choose when you go on holiday or take a short break in the UK. No need to book – just go at a moments notice! A luxury lodge will allow you to escape the stresses of day to day life and provide you with time to relax in some of the most beautiful locations in the country. The luxury lodge can be your peaceful haven, where you can spend time at ease and recharge your batteries. The lodge can also be a base from which to explore the breathtaking scenery nearby, whether this be unspoilt countryside or spectacular golden beaches. 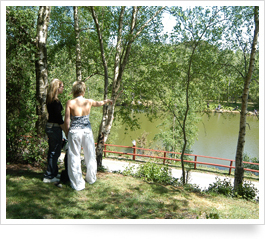 The locations of the lodges, in Cornwall and Dorset, have been chosen for their natural beauty but also because they are close to a fantastic range of activities. If you prefer, you can just relax and be at one with the picturesque landscapes; refresh the senses in the height of opulent living. The quintessential wooden lodges are the ultimate retreat to entertain friends and family, whether this be during the summer on the spacious decking, overlooking breathtaking views or inside in comfort around the fire. The lodges are equipped with the best of modern living with fully integrated kitchen appliances and exquisite soft furnishings. As a lodge owner, you will be the envy of your friends, that is unless you invite them to experience the benefits of luxury lodge ownership with you. Time will always be well spent in your holiday lodge.